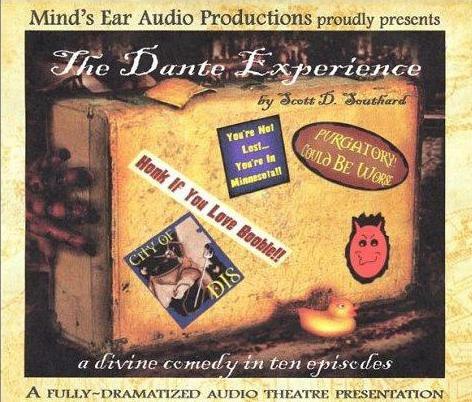 My comedy radio series The Dante Experience is now available to listen to directly via my site! Actually, the buttons right below. (I know you see them.) How cool is that? You can learn more about my series on The Dante 3 page. If you would like to order a copy of the series, you can do so via the catalog for Mind’s Ear (here). This entry was posted in Books, Fiction and tagged Comedy, Dante, Douglas Adams, Fiction, Humor, Mind's Ear Audio Productions, Monty Python, Radio, radio drama, Streaming, The Dante Experience, The Hitchikers Guide's to the Galaxy by Scott D. Southard. Bookmark the permalink.